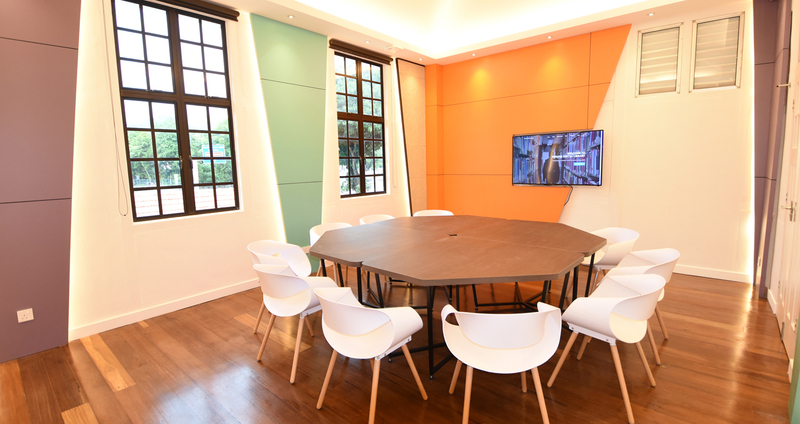 Home Fun Penang Digital Library Phase 2 Is Now Open! Penangites may be familiar with the Penang Digital Library. Opened in October 2016, it received favourable response, and soon launched into a second phase for expansion. Now, the second phase is finally open for all to enjoy! The Penang Digital Library is an initiative by the Penang State Government in collaboration with Keysight Technologies and Eastern & Oriental Berhad, supported by TIME. As aforementioned, it opened in October 2016, and morphed into a 24-hour library by 2017. Students and those who preferred to work at night were over the moon! True to its name, the Penang Digital Library does not have any physical books. Instead, users can access over 3000 e-books, e-magazines, and reference journals! In order to cater for more users at a time, phase 2 was launched. Now, all of Penang Digital Library includes restaurants, cafes, more digital infrastructure as well as information technology. There’s a comfortable reading space, a learning and discussion space, a children zone, as well as a dining space. Those who want some peace and quiet to do their work can now opt for the Penang Digital Library instead of going to cafes or co-working spaces. Can a digital library really be called a digital library if it doesn’t have an app to back it up? According to the app store, you can “bookmark articles effortlessly and customise your reading list”. Also, Penang Digital Library aims to “reengineer how information is curated and bring back the ‘human’ aspect social collaboration”. Therefore, download the Readcasa app now, and have all the information you need right at your fingertips! Have you been to the Penang Digital Library yet? If you haven’t, there’s no better time than the present! I mean, even Finance Minister Lim Guan Eng has paid a visit, so what’s your excuse? Muar Declared The Cleanest Town in Southeast Asia! Keep Calm and Lift Heavy, Like Linora Low!